The mission of the Luskin Center for Innovation is to unite the intellectual capital of UCLA with forward-looking civic leaders to address the most pressing issues confronting our community, nation and world. The Center is organized around initiatives that seek to translate world-class research and expertise into real-world policy solutions. Faculty and staff from a variety of academic disciplines across campus pursue research centralized on environment, energy and sustainability in partnership with civic leaders who use the research to inform policy and organizational innovations. The Lewis Center for Regional Policy Studies was established in 1988 to promote the study, understanding and solution of regional policy issues, with special reference to Southern California, including problems of the environment, urban design, housing, community and neighborhood dynamics, transportation, and economic development. It is a focus of interdisciplinary activities, involving numerous faculty members and graduate students from many schools and departments at UCLA. It also fosters links with researchers at other California universities and research institutes on issues of relevance to regional policy. The Latino Policy and Politics Initiative is a comprehensive think tank that addresses the most critical domestic policy challenges facing communities of color across the United States. LPPI fosters innovative research, leverages policy-relevant expertise, drives civic engagement and nurtures a leadership pipeline to propel viable policy reforms that expand opportunity. LPPI’s work keeps decision-makers accountable to marginalized communities and provides a framework for local and state interventions that reflect the needs of the nation’s new majority. 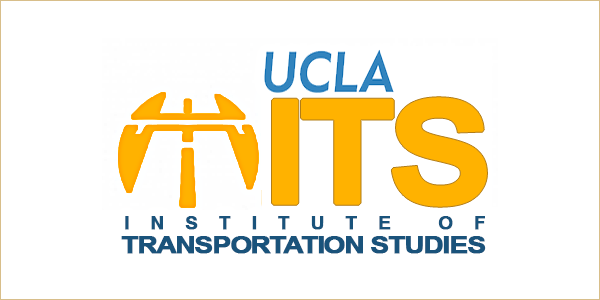 UCLA’s Institute of Transportation Studies is one of the leading transportation policy research centers in the U.S. The ITS works closely with and is generously funded by two organizations: the UCLA Lewis Center for Regional Policy Studies and the University of California Transportation Center (UCTC). Each year dozens of ITS faculty, students and research staff collaborate on a wide array of transportation policy and planning studies, ranging from an analysis of the travel trends and transportation needs of immigrants and low-income workers, to the testing and evaluation of innovative fare programs to increase public transit use. The mission of the California Policy Lab is to partner with California’s state and local governments to generate scientific evidence that solves California’s most urgent problems, including homelessness, poverty, crime and education inequality. CPL facilitates close partnerships between policymakers and researchers at UCLA and UC Berkeley to help evaluate and improve public programs through empirical research and technical assistance. Projects at the California Policy Lab are guided by the problems that government partners wish to solve, with relevant empirical analysis that moves at the speed of policymaking. Established in 1997, the Center for Policy Research on Aging studies the major policy issues affecting our aging society including Social Security, Medicare, long-term care and the societal implications that accompany the aging of the baby boom generation and its parents. In recognition of the growing diversity of the elderly population, CPRA focuses special attention on policy issues as they affect Latino, African-American, Asian and other ethnic populations. As a national, state and local resource center on aging policy, CPRA conducts research, fosters multidisciplinary collaboration among UCLA faculty, and works closely with policy makers, service providers and community groups in meeting the challenges of an aging society. The UCLA Center for Health Policy Research is one of the nation’s leading health policy research centers and the premier source of health policy information for California. Established in 1994, the Center improves the public’s health by advancing health policy through research, public service, community partnership, and education. The Center is based in the School of Public Health and affiliated with UCLA Luskin. The new center will serve as a collaborative hub for prevention and intervention efforts, working to strengthen families to prevent children from entering the child welfare system. It will also aim to build the capacity of foster parents, relative caregivers, and adoptive families to promote stable and nurturing families, equitable opportunities, and paths to educational success. The Southern California HIV/AIDS Policy Research Center brings together the most relevant and timely evidence to bear on HIV/AIDS policy making in order to further California’s efforts to develop and maintain efficient, cost-effective, and accessible programs and services to people with or at risk for HIV/AIDS. Through its local, national, and international programs, the Institute of the Environment and Sustainability employs innovative, cross-disciplinary approaches to address critical environmental challenges – including those related to climate change, water quality, air pollution, biodiversity, and sustainability – with the goal of achieving stable human coexistence with the natural systems on which society depends. Blue Sky Health is dedicated to transforming our health care system. Its network of researchers, business leaders and physicians envisions a system that seeks to keep Americans healthier, rather than treating them only when they are sick. Poverty in Los Angeles: Located in the second largest city in the United States, CSUP is well positioned to make a major influence in better understanding the lives of the poor and fashioning policies to ameliorate impoverished communities. As the only research center dedicated to issues on poverty in Los Angeles and the rest of California, CSUP influences popular, academic, and legislative interpretations of the urban poor. The Working Poor: The diversity of the Los Angeles economy and its location as a major port of entry for new arrivals from Latin America and Asia affords CSUP a unique window through which to research and prescribe policies affecting immigrant and other impoverished workers such as African Americans. Los Angeles, a repository of ethnic groups, low skill jobs, a large service and informal economy, and a host of other low paying occupations allows for unique insights into workplace dynamics on issues related to poverty, race, and nativity status. Transition to work/disadvantaged low skill workers: Transitioning low skill or institutionalized men and women into better paying jobs or into the labor market is an important first step in ameliorating poverty. The evaluation of policies, programs, and innovative solutions that address this transition is the final major focus of CSUP.